What are the fundamentals in your business that you just cannot afford to get wrong? I have spent the last couple of days in hospital having had my appendix removed. My experience of the hospital was fantastic with a high level of care shown by all the staff with whom I came into contact. Last evening I witnessed an event that displayed integrity and courage, while also highlighting that serious mistakes can be made even in a well run hospital. At about 8:30pm a senior nurse came in to speak with an elderly gentleman with whom I was sharing my ward. She informed him that he had been given someone else's medicine an hour earlier. She told him that she had checked with his doctor and that there weren't any issues regarding side effects with the incorrect medicines that he had taken. She also apologised profusely for the error. From my perspective the nurse showed courage and integrity by admitting the mistake, initiative by checking with the patient's doctor before informing him of the mistake and she also provided a genuine apology. This experience got me thinking. In a hospital it would seem that giving the wrong medicine to the wrong patient is a fundamental error that shouldn't occur. It would appear that human error was involved. Six Sigma was a system that was introduced at Motorola as a way of creating a culture that minimises such fundamental mistakes. Six Sigma officially translates to 3.4 mistakes every 1 million efforts. I'd like to think that, at the hospital where I have just spent the last few days, the mistake that I experienced was one of the 3.4 in one million! So, the question for you is, "What are the fundamental errors that you should be minimising? What systems do you have in place to ensure that human error is minimised?" Even a short stay in hospital can provide opportunities for reflection and improvement. I'm certainly reviewing our systems and processes in the context of this experience. Please feel free to comment on this article. If 'Everybody's doing it' does that make it okay? As appalling an excuse as this excuse sounds, my view is that many people do use this excuse for their behaviour. Whether it be taking illegal drugs, drinking too much alcohol, backstabbing another person behind their back, not telling your manager or direct reports the truth, people claim that their behaviour is okay because other people are doing it. To me, leadership starts with yourself. If you can't lead yourself, then you are going to struggle to lead other people. As we have seen with Brian Waldron many people would have considered him successful up until Thursday afternoon. After all he had guided the Melbourne Storm through a period of apparent on-field and off-field success. This story highlights that there are consequences for not taking a stand for doing what is right. It may be true that if Melbourne Storm had played according to the rules then they may not have won their (now lost) premierships. We will never know. We do know that their brand has been damaged and two major sponsors have already cancelled their arrangements with the club due to the clash of values that has come to the surface as a result of this exposure. If you have ever wondered whether there is a financial cost for lacking integrity in business, here is your proof! This is why I always laugh when people talk about developing the 'soft skills' of management. To me, the so called 'soft skills', which include acting with integrity, are the hardest skills to master, which is why so many people struggle to properly develop them. The term 'soft' somehow suggests that they are easy. Nothing could be farther from the truth. To me leadership starts with doing what is right from a personal point of view. This means that many people will never know when you have shown true leadership, because the vast amount of leadership takes place when no one is looking. I suspect that there are a lot of good people at the Melbourne Storm who possess high integrity. While this must be an extraordinarily difficult time for them I suspect that many will stay to rebuild the club's integrity. In many ways, providing the people running the club at all levels honestly embrace the opportunity that they have before them, they could use this terrible event to create an organisation of the highest order. On many levels I hope that they can. The final message for each of us from this story is to challenge ourselves not to do any behaviour just because we believe that other people are doing it. If our moral compass tells us that something is wrong, then we should listen and take action that is guided by that compass. It is far better to be able to look in the mirror and be happy with the quality of the person staring back at you, rather than seeing a smug person who is hoping they never get caught for doing what they know is wrong. While this article focusses upon the revelations of the systematic cheating by administrators within the Melbourne Storm Rugby League Club, the article is about organisational leadership and not sport. The Melbourne Storm is a multi-million dollar business. It is in the business of elite-sport, television and entertainment. The deception not just a sporting deception, it is a business deception and legal investigations may result in charges being laid. Time will tell. Today many thousands of people will wake up feeling betrayed and disgusted by the behaviour of a small number of people. Michelle Hunt from www.dreammakers.org suggests that leadership involves a serious meddling in other people's lives. Many people will have their reputations tarnished simply because they work for the Melbourne Storm. If that doesn't highlight the serious impact that poor leadership can have on other people, then I'm not sure what does! On the morning of Thursday 22nd April 2010 I was compelled to add a comment to an article posted on the The Age website. I was unaware of the Melbourne Storm issue that was to unfold later in the day. The article was titled, "Congratulations you're a manager....now what?". I was drawn to the article because it mentioned a series of tips for first time managers. However, one of the sentences in the article's introduction caused me some concern. The sentence was, "Is honesty always the best policy when managing up?". I thought to myself, "Why wouldn't it be?". If you are honest when managing up and you got into trouble for that, then my view is your organisation is not worthy of your commitment and you have a choice to make. The 'war for talent' still exists so if you have a strong and clear sense of your values and a good work ethic, then my view is that you have choice regarding where you work. Working for organisations that aren't worthy of you commitment is therefore a choice. To me preparation to become a leader starts well before a formal leadership role in an organisation is offered to you. It starts with becoming clear about your values and practicing them every day in all your life's roles. Vision without an understanding of your values can lead to behaviour, such as systematic cheating, that is inconsistent with the vision. I don't know the motives of the senior Melbourne Storm administrators for their behaviour. I do know that conscious development and mastery of your personal values takes time and is important for people to have mastery of their values before they commence formal leadership roles. It is my view that not enough people are clear about their values and how they are reflected in their behaviour at work. Are you clear about yours? Interview Skills Tip#2 - What are the characteristics that you should use to describe yourself? This webinar is a an example from a live webinar hosted by Gary Ryan from Organisations That Matter. The webinar is part of the Organisations That Matter Desired Futures Series. If you would like more information on this series, please visit http://orgsthatmatter.com/creating-futures.html or email gary@orgsthatmatter.com . Check out this presentation:It is best to watch it in fullscreen mode. View more presentations from Organisations That Matter. This is a sample webinar that is provided through Organisations That Matter and hosted by Gary Ryan. If you are interested in participating in a webinar such as the example attached, please email gary@orgsthatmatter.com . Three Steps For Creating a Plan - for anything! Are you one of those people who prefers to keep your plans in your head? Or maybe you prefer to "just do it" and not worry about planning at all? Research by David Ingvar indicates that there is a significant and positive affect from writing down your plans. What is interesting is that your plans do not have to include detail to the 'nth' degree to be effective. What you do have to do, however, is to write them! A simple, yet effective process for creating effective plans for anything is outlined below. The process can work for achieving a certain grade for an assignment at university, for drafting a high level plan for a complex business project (that would then be used to create a more detailed plan using tools such as Microsoft Mroject) or a training session for the local U12s basketball team that you coach. Heck, I use this process all the time for planning my workshops and seminars! 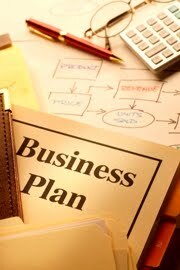 In addition, this process can be used for creating a plan for an individual or a team. Describe using dot points, what a successful outcome looks like. Provide as much detail as possible to enable you to clearly see the success that you desire. Identify your current experience and skills as they relate to achieving your goals. Be honest. Include both your good and not-so-good experiences. Brainstorm everything that you will need to do to take you from your description in Step Two through to achieving the outcomes you have described in Step One. Include any research or training & development that you may need to acquire along the journey. Having brainstormed your possible tasks, consider their relationship to each other and their level of importance. What tasks stand out as critical steps for success? These need to be treated as priorities (keeping in mind, of course, that even the 'little things' matter for true success). If more than one person will be involved in actioning this plan, assign appropriate tasks to everyone on your team. Plans for individuals and teams can be completed in under ten minutes and under 30 minutes respectively following this three step process. The challenge for most people isn't following the process, it's deciding to do it in the first place! Give it a go, you will be pleasantly surprised at how simple and effective it is! Please feel free to share your experiences of following this process. Gen Y - we are in safe hands! Over the past few weeks I have been conducting programs for university students. Amongst other themes, these programs have included the identification and launching of community based projects. No less than 75 students have been involved in these workshops, and this week will see another 40 students involved in a similar program. All these students are in their low 20s and gave up their holiday time to participate in the programs. For all of them, their academic performance will not be affected by not attending the programs. Yet they have not only turned up but have enthusiastically committed themselves to creating projects that will benefit their university and/or the broader community. Sometimes I hear people of my generation (Generation X) or from the Baby Boomers complain about Generation Y. "They aren't like us", they bemoan. "They simply aren't committed to anything other than themselves!" they complain. Well, Gen Y aren't like us. That is okay because they shouldn't be. Otherwise we'd be stuck in some sort of time vortex. However, Gen Y are committed, very committed to helping to create a better world. Just like the older generations, there are sufficient numbers of committed Gen Ys who are there 'having a crack' at creating a better world. And they are doing it right now. I have the evidence of this because I am lucky enough to be able to work with them and the student projects that I have described above are practical examples of Gen Y hard at work. So, Gen X and Baby Boomers, don't worry, our future is in safe hands! Please feel free to share your experiences of the positive work that Gen Y are doing to create a better world. Service is not just a traditional retail experience. Examples of service include the willingness to allow direct reports to make mistakes so that they can learn (even though you could have done the task faster and to a higher quality yourself). Cleaning up after yourself in the lunch room. Picking up rubbish in the foyer and placing it in the bin. Letting others go first through a doorway. Offering your seat to someone not as healthy as yourself when riding public transport. Listening to a colleague when they just need another human’s ear. These are all simple examples of service. Service can be everywhere and it can be nowhere. How present is service in your life? Today I refer you to one of my favourite blogs, Couple On The Run. Andrew's article Abbott Frenzy Missess The Point focusses on the media and political peressure directed toward Australian Opposition Leader Tony Abbott. Politically I am not a fan of Abbott, but he has every right to stand for what he believes, just as I do. He also has every right to exercise 10 hours per week and compete in and complete an Ironman Triathlon (3.8km swim, 180km bike ride and 42.2km run). The suggestion that he has not focussed on his job to be able to do this is absurd. Rather than continue I'd prefer to refer you to the Couple On The Run Blog where Andrew O'Brien has written and wonderful article that more than sums up my frustration and views on the topic. Once you have read the article please feel free to post a comment.